When iPad 2 first launched in Singapore, practically within the first day, most of the stocks in the retail shops were totally wiped out. 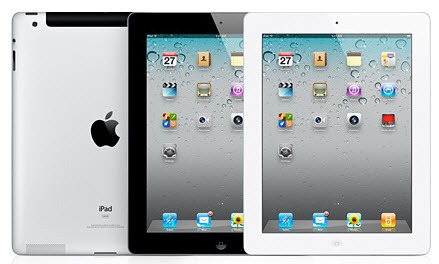 Good news came when the 3 Telcos in Singapore – namely SingTel, M1 and Starhub, announced that new iPad 2 data plans whuch also came with discounted iPad 2 sets. But is it really worth the subscription? If we are focusing on getting iPad 2 64GB 3G with an M1 iPad 2 Unlimited Data Plan, the total cost for 24months = S$1559 (excl gst) with is $451 premium against the original retail price (nett paying $18.79 for the 24months data service). However, if you are iPhone Extreme mobile plan (for same unlimited data usage), you can subscribe to M1 multi-sim service for additional $10/mth (excl gst) and thus the total premium will only $240. You maybe charged (around $20 one-time) for the issue of the new micro-sim card if your first Voice Sim is not micro-sim. 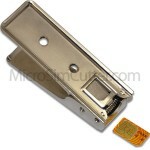 To convert a regular Sim to micro-Sim, you will need to cut it manually or borrow a micro-Sim cutter (which costs S$45). Last option is to subscribe to a regular Mobile Broadband 7.2Mbps service which will cost a total of $997.92 (excl gst). The bundled free K367 USB mobile stick will cost around $350 and thus the actual premium = $640. This is additional to the retail purchase of iPad 2. No point upgrading your current mobile plan + multi-sim service just to get unlimited data plan. You might as well get a separate iPad 2 Unlimited Data Plan. That said, a normal leisure mobile user will hardly use more than 5GB data/mth just on normal website surfing, email, or even light game over internet. But if you are watch Video, downloading magazines / newspapers, accessing cloud storage (DropBox, Google Docs), you have to watch out for your monthly data usage. This is to give you some quick figures to aid your cost calculation and hopefully you are able to work out the best plans combination before signing & commit for a longer term subscription. If you have other creative combination, please feel free to share/comment after the posts.